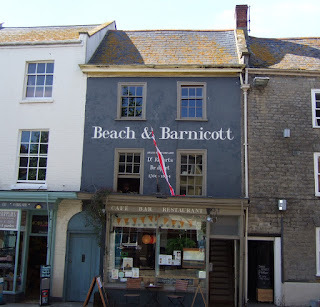 In 1805, Doctor Giles Roberts opened his shop at 9 East Street, formally the Old George Inn where Charles II was almost captured by troops in 1651. 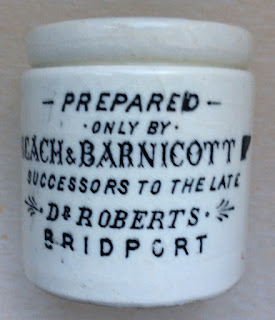 Here he was able to set up a laboratory and give lectures. 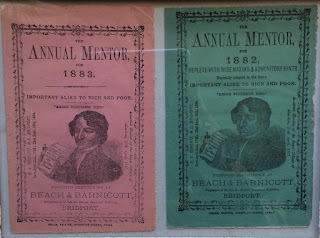 On a panel of the stone seat in Bucky Doo Square, there is reference to a pharmacist shop at 9 East Street. 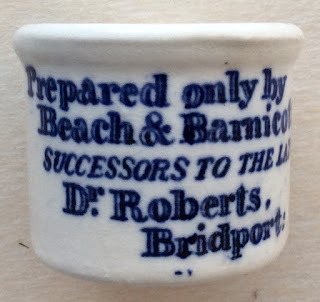 Roberts married Phoebe Brown from Shipton. 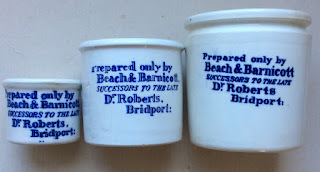 They had one child, but died in infancy. 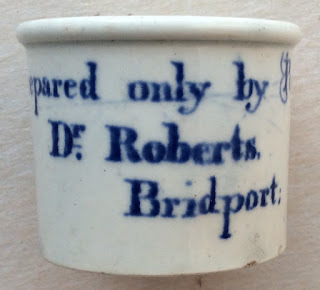 In 1807, Dr Roberts was appointed Medical Attendant to the poor in Bridport, taking the opportunity to campaign for better hygiene and during a cholera epidemic, distributed at his own expense, a pamphlet on healthy living. 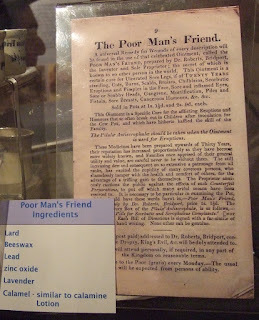 He was known not to charge for giving medical advice. 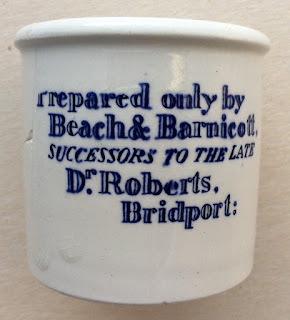 Dr Roberts was also a devout Methodist, actively preaching the gospel and opening chapels. 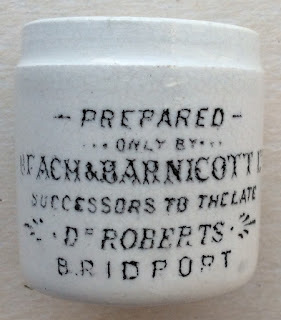 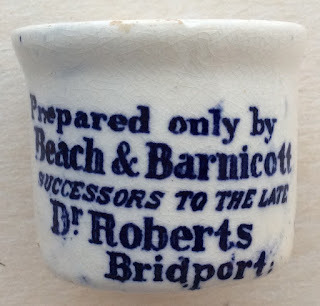 The earliest pot state an inscription 'Prepared only by Dr. Roberts, Bridport'. 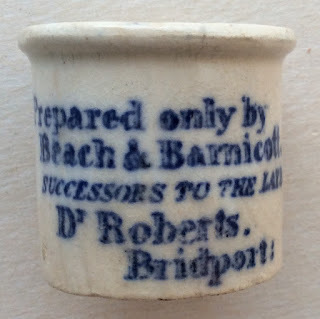 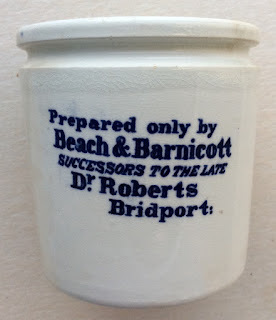 Following these pots, Beach & Barnicott appears as successors to the late Dr. Roberts. 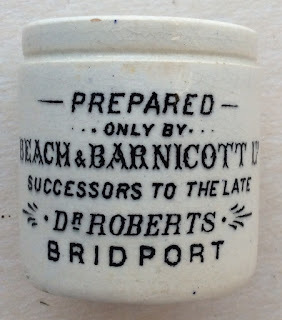 A black print variation is produced after 1910 with adiffernt print style. 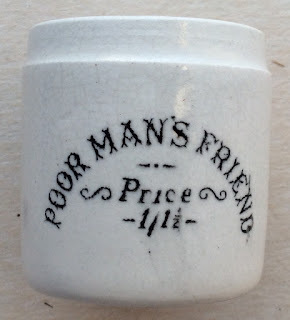 Two type of pot exist, one with a recessed rim, and the other the normal flared lip type. 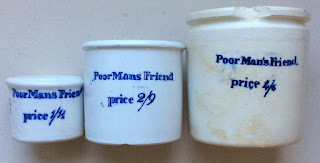 There are three prices for the pots. 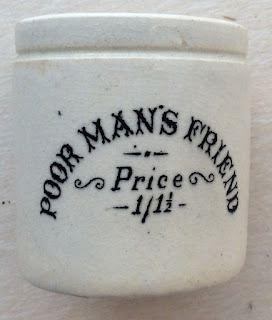 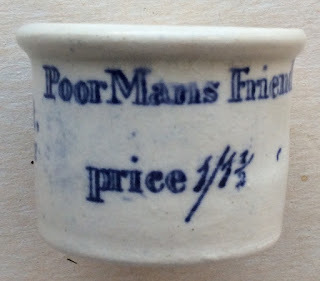 A very large size with a price of 4/6, a mid size pot with a price tag of 2/9 and the common pot with the price of 1/1½. 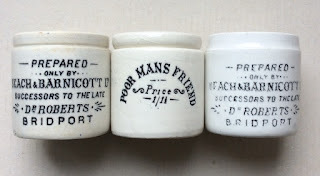 The pots carry a blue print and slight variations of print type are used, bold lettering, hollow lettering for example. 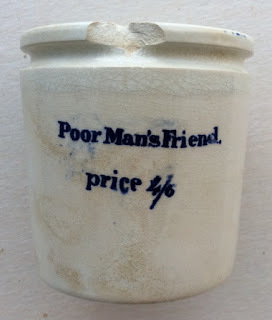 Very early pot, taller than norm. 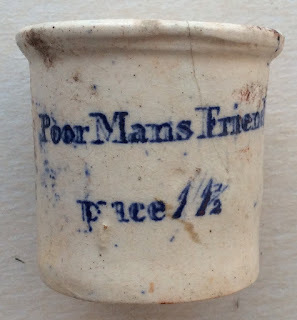 Man's Friend Ointment is now a cafe. 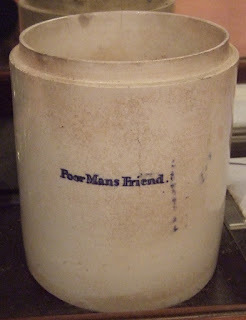 Probably had a plain cover. 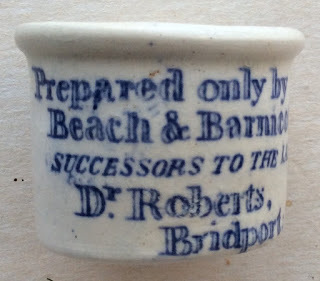 Dr Roberts, Poor Mans Friend, early variation (without Beach Barnicott) smudged transfer & hairline, sold BBR auctions July 2011 for £350 plus add ons. 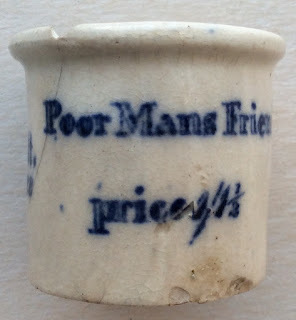 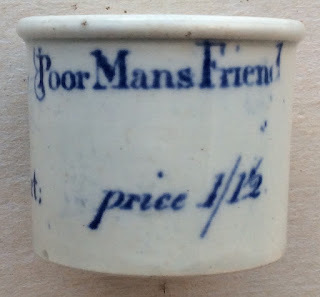 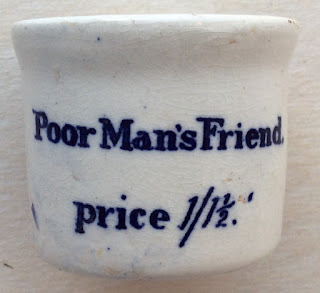 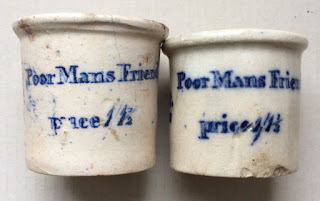 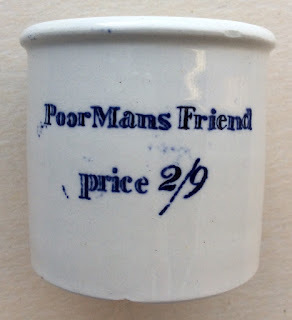 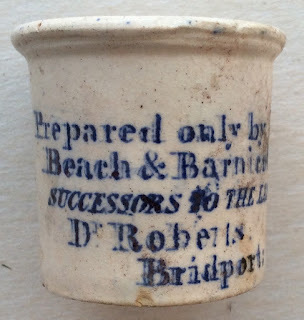 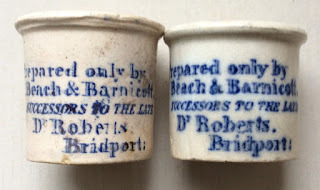 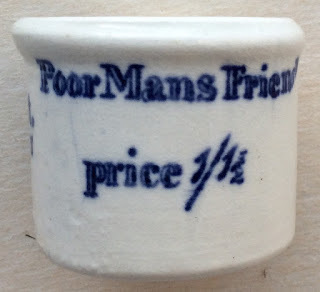 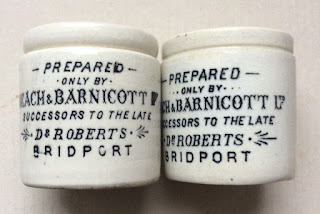 Further detailed information regarding Dr. Roberts and the Poor Mans Friend pots can be obtained from the Historical Guide to Delftware and Victorian Ointment Pots book produced by Messrs. Houghton & Priestley pages 109 to 113.